The Winter’s Warmth Slipper Socks are the perfect cozy accessory for keeping winter’s chill away. 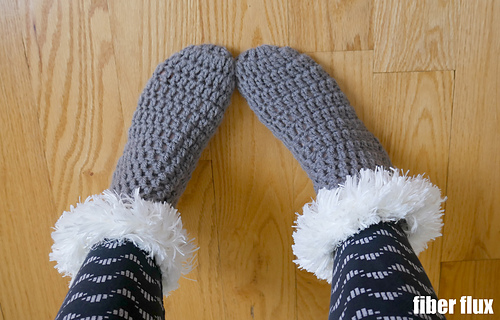 The slippers are super easy to stitch up are are topped with an optional fluffy topper. 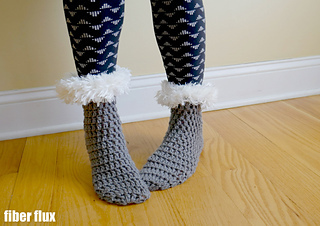 Make a pair for you and a pair to give as a fun gift too. Need a little help? There’s a full video tutorial too!